Cath works from her home in Dorset. You can fill in the form below, or contact her by phone or email, she looks forward to hearing from you. Thank you for getting in touch with Cradle To Grave. We will make every effort to get back to you as quickly as we can. 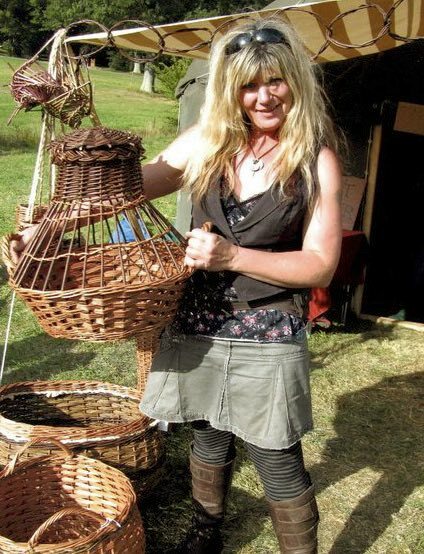 It's delightful to hear from people that have discovered Cradle To Grave through our reputation for creating unique, personal Willow and Ash Products. Please get in touch with any questions or requirements, I'll do all I can to help. In order to continue to make improvements to the cradle and coffins I would be very grateful for your feedback, which in turn will be of benefit to others. Were you satisfied with the function of the vikingship,cradle or coffin? Please leave feedback in contacts box above.